“Goddess Gang” is the ultimate squad anthem of 2018. The song barrels through staid interpretations of femininity and turns respectability politics on its head with a spitfire lyrical cadence and 808 heavy track reminiscent of the dopest HBCU marching band. 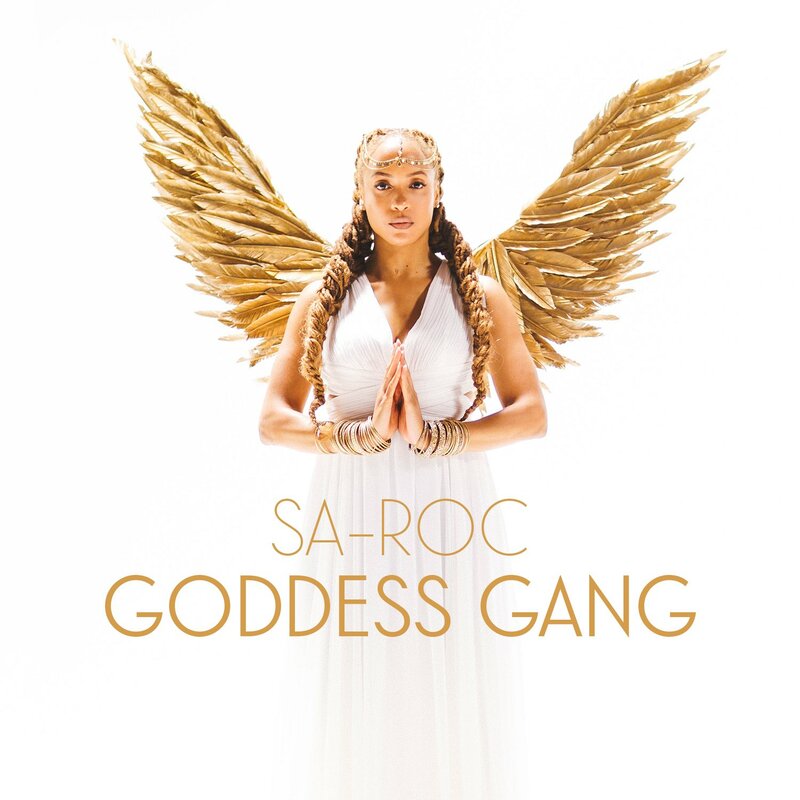 Throughout the Sol Messiah-produced banger, Sa-Roc rejects conventional expectations of female rappers so prevalent within the industry, demanding to be judged not on her appearance, but lyrical skill alone. “Beauty irrelevant, this is not pageants. I’m a rap dragon. Every time I open my trap its fire and your outlook ending up tragic.” The video, directed by Tommy Nova, symbolically employs color-saturated visuals to both engage the viewer and to illuminate the faces of women that have long been rendered invisible from historical narratives, religious iconography, and traditionally gendered career roles. The song perfectly punctuates this imagery with jarringly bright horns and staccato percussion, challenging the world to prepare for a future defined by our own terms. To put it plainly, it’s a certified bop. Only one thing remains in question. You ready?